Nike Breathe fabric helps you stay dry and cool. Chelsea colors, woven crest and flexible colored side tape show your team pride. Inside of the neckline is taped for comfort. Sponsor logos are included for an authentic look. Swoosh design trademark is embroidered on the right chest. 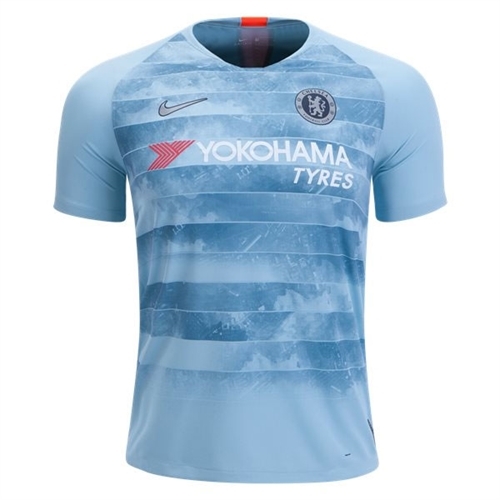 Our Nike Chelsea Third Jersey 2018-2019 is what the Blues will wear when they touch and move when they are not at Stamford Bridge. 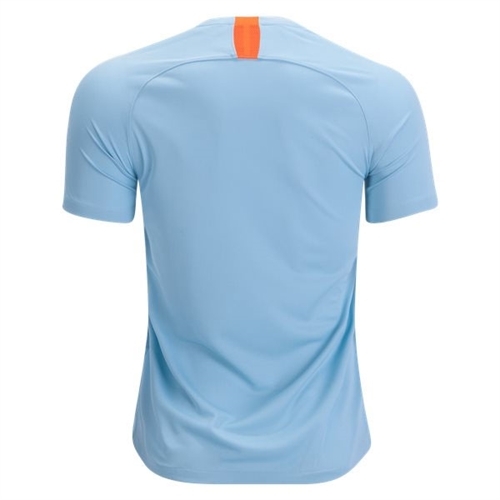 This shirt features Nike Breathe fabric helps you stay dry and cool. The shirt features an aerial map of West London, with Stamford Bridge and the Chelsea district.